IDW, in association with one of rock n’ roll’s greatest acts in history, proudly presents Pearl Jam: Do the Evolution. Drawing inspiration from the Grammy Award nominated music video of the same name, Do the Evolution takes fans inside this unforgettable work of art. Directed by visionary comics legend Todd McFarlane and veteran animator Kevin Altieri, this achievement in animation told a graphic and dark history of the world in four gripping minutes and is widely considered one of the best music videos of all time. Now, the full story of the making of this historic video will be told in the Do the Evolution art book from IDW. Lushly illustrated by the video’s striking animation cells with never before seen storyboards and designs from the video, the video’s co-producer, Joe Pearson, will guide readers through the fascinating process of bringing the band’s vision to life in this one-of-a-kind art book. 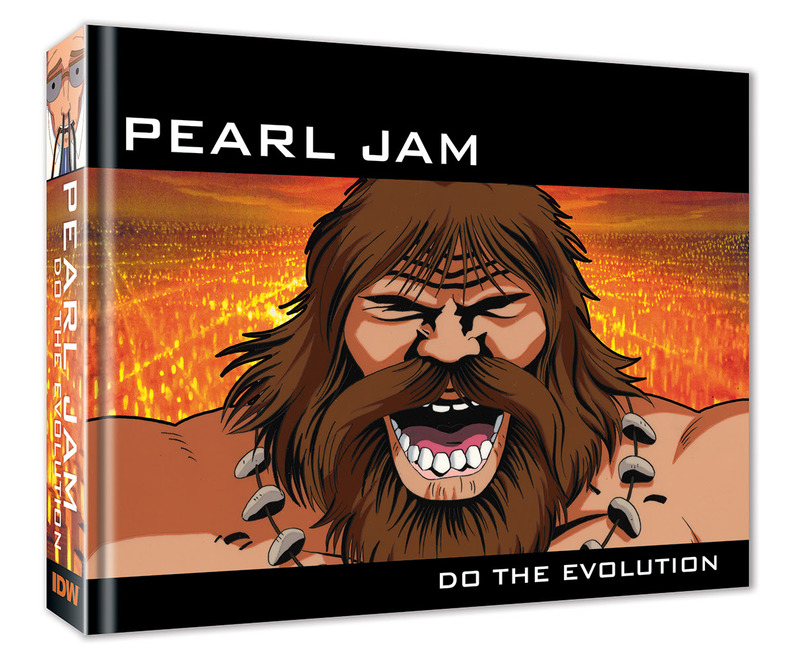 Pearl Jam: Do the Evolution takes its next step into comic shops this October.